A soakaway consists of a long narrow pipe (normally approx. 100mm diameter) which is perforated along its entire length to allow water to be discharged into the ground so that it can “soak away” gradually from the outlet. Generally soakaways take storm water from gullies or rain water pipes and discharge it underground (quite often into your lawn). Soakaways are also used to discharge the treated waste from septic tanks and some treatment plants. Quite often a soakaway consists of more than one pipe but it does depend on what and how much it has to cope with discharging. As with any pipe, it’s not uncommon for a soakaway to experience blockages: often the blockage is caused by leaves or earth which has got stuck in the pipe and has therefore caused the pipe to backup. Sometimes though the problem is more severe and the pipe needs to be excavated and replaced. The blockage can also be a result of the septic tank being inefficient or poorly maintained. We can provide a full range of solutions to your soakaway problems including clearing blockages, inspections, quotations and completion of repairs or replacements. 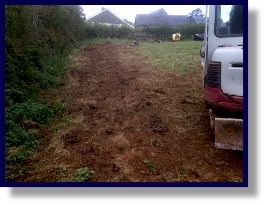 Charges to clear a blocked soakaway start from just £95 +VAT. Please give us a call on 0800317822 to discuss your requirements and organise a call out from one of our team! Please note that if a blockage cannot be cleared with a jetter then we will provide you with our recommendations and a quote to carry out the work and you will be charged a reduced abortive fee of £60 +VAT.